Composed of several members in the family for versatile applications as tabulated below. 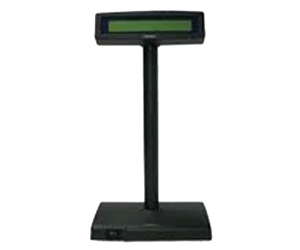 Two - line LCD display with 20 characters per line. Dark blue character with yellow green backlight. Easy viewing characters (6.0 mm by 9.66 mm). Display area 143 mm by 21 mm. Euro dollar sign supported in USA/European font table. 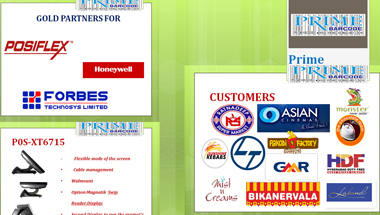 Selectable command emulation modes including PST and EPSON command emulation modes. Long life, trouble free and user-friendly operation. 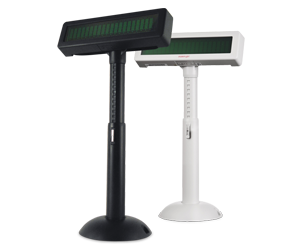 The PD-2800/320 is a standalone pole mount customer display designed for discrete POS applications. PD-2800 is a bright two-line VFD (vacuum fluorescent display) display with 20 characters per line and combines with green or blue filter. 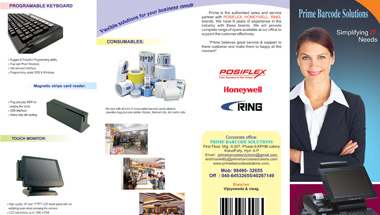 Stand along customer pole display for Posiflex POS terminals. Easy-to-read large characters (9.03 mm × 5.25 mm for PD-2800, 6.0 mm × 9.6 mm for PD-320). Long life and trouble free design. Various command emulation modes selectable by DIPswitch. Support 12 Code Pages of 128 characters each on PD-2800. Support 12 international character sets of 12 characters each on PD-2800. USB interface with RS-232 emulation for numerous applications without modify the software. UPOS 1.8 and is WEPOS ready supported. Selectable command emulation modes including PST and EPSON command emulation modes for PD-320.